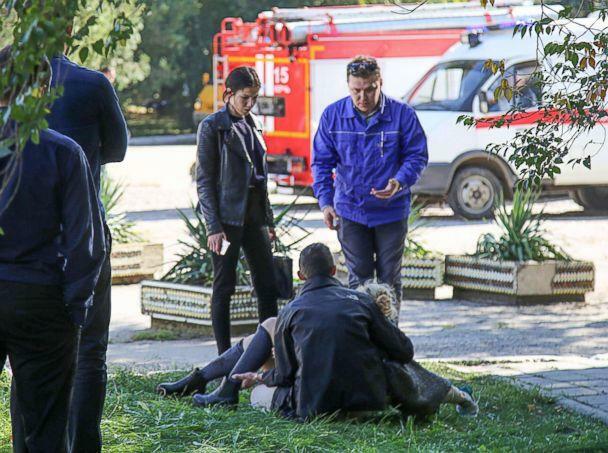 At least 18 people, many of them teenagers, were killed, and over 50 others were injured in a bomb and shooting attack at a college in Crimea that local officials said was carried out by a student. Investigators said the attack was carried out by a lone 18-year-old student at the state polytechnic college, who entered the school on Wednesday afternoon armed with a gun and began shooting people and set off a bomb in the college's cafeteria, before killing himself. 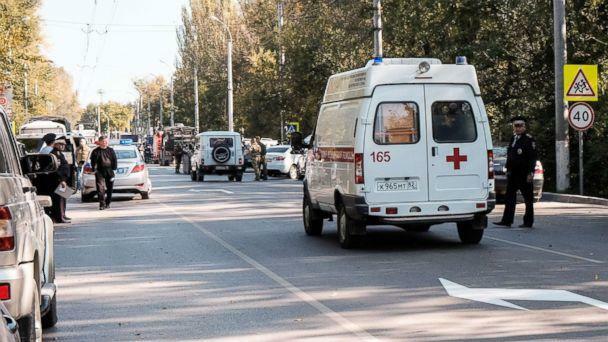 Russia’s Investigative Committee, the equivalent of the FBI, said it believed the attacker was Vladislav Roslyakov, a fourth-year student at the college which is in the Black Sea city of Kerch on Crimea's east coast. Roslyakov was captured on CCTV entering the college holding a gun shortly before the shooting began, said Svetlana Petrenko, a spokeswoman for the committee. The first indication of the attack were reports of an explosion at the college, which police later said was from a homemade bomb packed with metal objects in the cafeteria. Inside, students who witnessed the attack said the gunman had moved down a corridor shooting at anyone he saw. Semyon Gavrilov, a student at the school told the Russian newspaper Komsomolskaya Pravda that he had looked out of a classroom and seen "a guy walking around with a rifle and shooting everyone." Gavrilov said he shut himself in the room and about 10 minutes later police with assault rifles arrived. "In the corridor where the explosion went off the windows were broken. There were dead bodies sprawled around the floor. All the walls were charred," Gavrilov told the newspaper. The school's director, Olga Grebennikova, said she had left the school about 5 to 10 minutes before the attack began. “They were running, throwing plastic bags with explosives, then they were running with assault rifles — I don’t know with what — around the second floor, opening rooms and killing everyone they could find,” Grebennikova told KerchNet, a local Crimean television station shortly after the attack. “There are many corpses, lots of children,” Grebennikova said, starting to cry. Videos shot by students on mobile phones during the attack have appeared in the Russian media. One, published by the popular messenger channel, Mash, showed students outside the college building first laughing when the bomb-blast appeared to go off and then growing quiet as they realized an explosion has happened and as gunshots can be heard from inside. Russia's National Terrorism Committee said investigators had later found a second explosive device in the school and disarmed it. School shootings are exceedingly rare in Russia, which has strict gun regulations, and no attack in over a decade has been as deadly as Wednesday's in Crimea. In 2004, Chechen militants seized a school in the Russian town of Beslan, holding hundreds of children, parents and staff hostage for three days. More than 300 of the hostages, over half of them children, died in explosions and gunfire, including when security forces stormed the building. 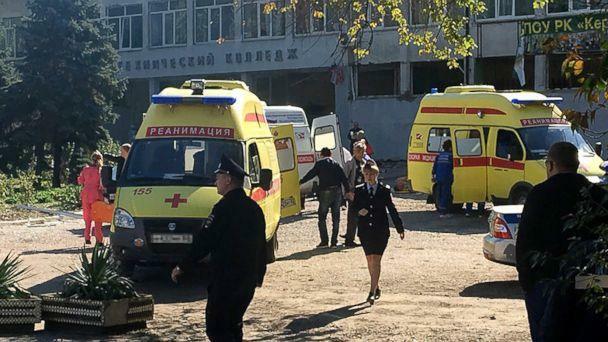 More recently, at least 14 children were hurt in a stabbing at a school in the Siberian city of Perm. Russian police said the stabbings began after two boys at the city’s School No. 127 started fighting with knives. Sergey Aksyonov, Crimea's leader, told a group of reporters that the latest death toll on Wednesday night was 18, plus the killer. Aksyonov, said 53 others had been injured and were on Wednesday being treated at hospitals, with 12 in an extremely serious condition. Angry parents, some who didn't know where their children were, also pressed Aksyonov at the news conference, AFP reported. He said that authorities were working to establish what had motivated Roslyakov's attack. Earlier Aksyonov said on Russian state television that the gunman had never previously been in trouble with police. "What pushed this non-person to do this, I don't know," Aksyonov said. The suspect, Roslyakov, lived with his mother in Kerch. Local television news reports said she is a nurse and that she had been helping tend to the victims at the school, without knowing her son was behind the assault. A three-day mourning has been declared in Crimea. President Vladimir Putin, who was in Sochi meeting with the Egypt's president Abdel-Fattah el-Siss when the attack occurred, called it a "tragic event". "It's already clear this is a crime," Putin told reporters, saying the public would be informed of the results of the investigation once security services had completed it. 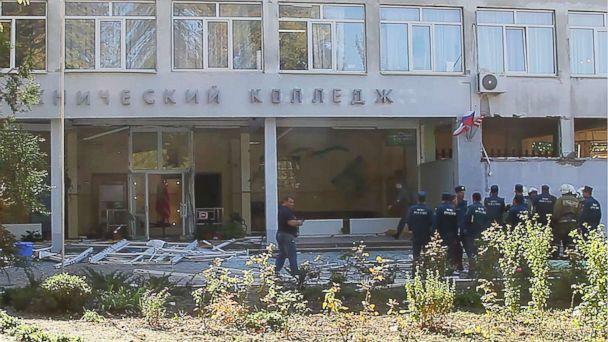 In the first minutes after the explosion, local authorities in Crimea-- which Russia seized from Ukraine in 2014-- responded as though it was a terror attack, and state television showed armored vehicles and heavily armed troops rushing towards the college. 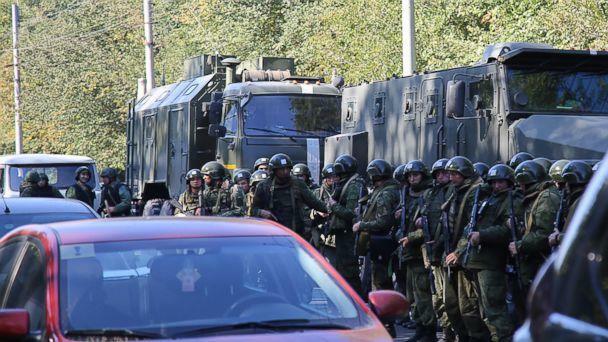 About 200 soldiers and 10 military vehicles were deployed to assist at the bomb site, TASS reported, citing local military officials. Kerch is a well-known city in Crimea, the arrival point to the peninsula for ferries from Russia and now for a new 12-mile-long bridge built for $7 billion at Putin's order.